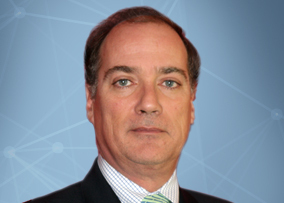 CEO - Amicorp Bank and Trust Ltd.
Juan Manuel Velutini is a Venezuelan national who holds an MBA from the University of Connecticut and a BSBA from Nichols College, both in the United States. Juan is a fourth generation banker. He was the CEO of Banco Caracas NV (Curaçao) as well as the General Manager for Bancaracas Banking Corporation in Puerto Rico and Managing Director of Bancaracas Mercado de Capitales, the largest Investment Bank in Venezuela at the time. He moved to New York City as a banker for UBS and became the Head of Private Banking for the Americas of Banco Español de Credito (Banesto). In 2008, he formed Velutini & Associates a Multi-Family Offices that was sold to a main competitor in 2010. He was the CFO of Optima Compass Group a leading Compliance advisor that provided transaction monitoring services to Non US financial institutions. In July of 2011, Juan became part of the Amicorp family where he currently serves as CEO of Amicorp Bank and Trust (ABT). Juan is fluent in English and Spanish and is an avid theater and concert goer.